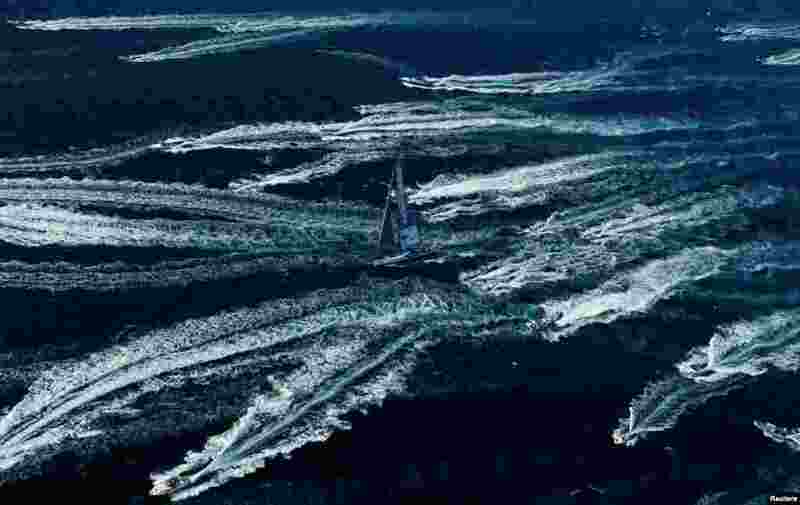 1 The Spirit of Portopiccolo sailboat leads during the Barcolana regatta in front of the Trieste harbor, Italy. 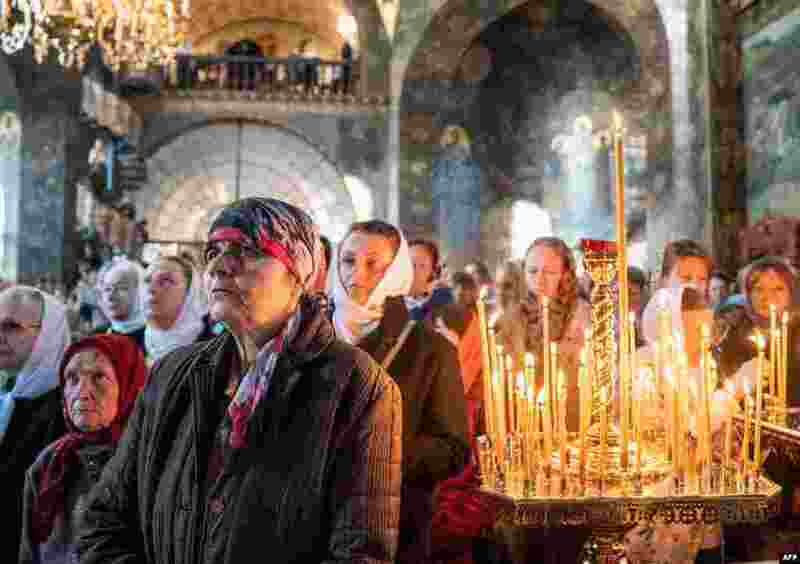 2 Hundreds of believers attend a church service on the Feast of the Intercession of the Virgin Mary in the Kyivv-Pechersk Lavra monastery, which is the headquarter of Ukrainian Orthodox Church of Moscow Patriarchy in Kyiv. 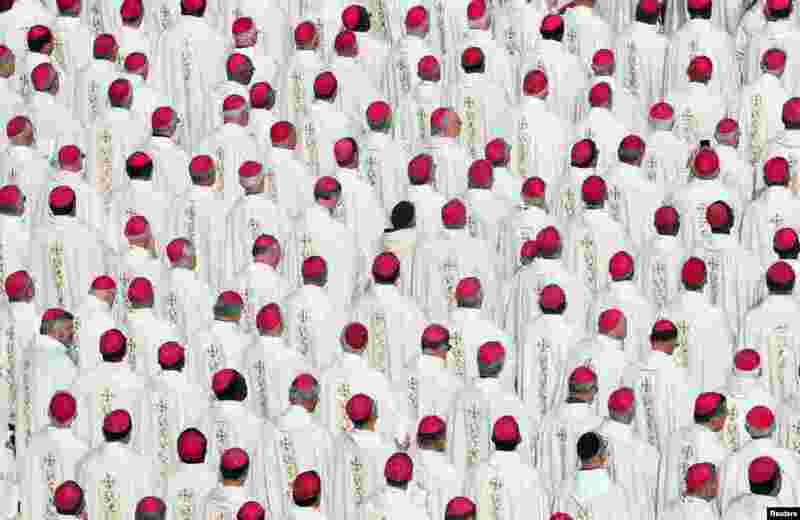 3 Bishops attend a Mass for the canonization of the Pope Paul VI and El Salvador's Archbishop Oscar Romero at the Vatican, Italy. 4 A wartime reenactor cuddles a ferret as they prepare to board a train during a reenactment-themed weekend, the annual 'Railway in Wartime' event held along the North Yorkshire Moors Railway, in Pickering, northern England.